Determining whether to purchase a wooden breadbox or stainless steel breadbox is a personal preference, but consider other factors. 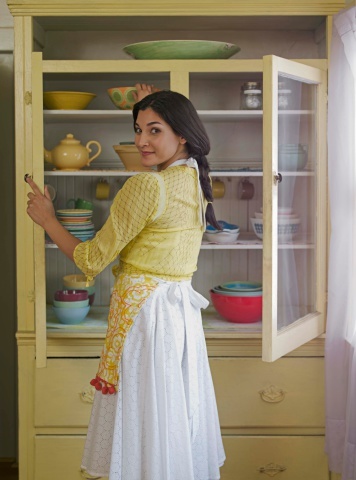 Picking the breadbox that goes best with the kitchen design or how much bread you use can also determine which bread box you need. Both types of bread boxes have their advantages, even though one may be better than the other for the purpose you intend. Both wooden breadboxes and stainless steel breadboxes have their advantages. 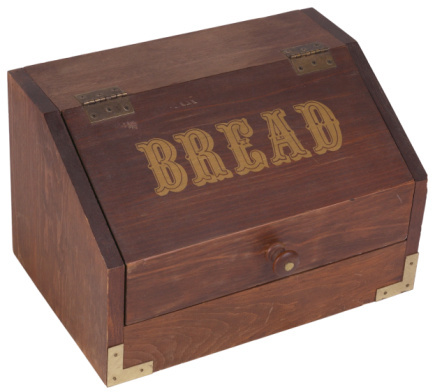 A wooden breadbox has been a storage container found in the kitchen of most homes for hundreds of years. The box helps keep the bread from going stale, but is made of a material that can decay. As the wooden breadbox ages, the wood can collect moisture and begin to deteriorate. Very few vintage wooden breadboxes can be found because of this reason. Damage to a wooden breadbox occurs more easily than other breadboxes on the market. The stainless steel breadbox is a more durable material than the wooden boxes. A box made of this material keeps the bread fresh longer than the wooden box. The wooden breadbox does not provide the same amount of seal from outside elements as the stainless steel breadbox, so the bread will last longer. The lid of a stainless steel bread box can slide through a plastic track that seals the lids better than the lid found on the wooden design. A lot of homeowners prefer the wooden breadbox because of the cosmetic feature it provides with their wooden cabinets. A stainless steel breadbox is generally found in homes that also have stainless steel appliances, such as the refrigerator or stove. Each box protects the bread from the elements, but the design of the kitchen can also determine the type of box you purchase. One of the major differences between a wooden breadbox and a stainless steel breadbox is the ability to clean each type. Cleaning the wooden breadbox is much more difficult than cleaning the stainless steel breadbox. The stainless steel does not allow liquids or bread particles to penetrate the surface, while wooden boxes can become stained or allow bread particles to remain in the cracks of the wood grain. Insects can gain access to a wooden breadbox more easily than a stainless steel breadbox. The sealing techniques available for the stainless steel breadbox is better than the sealing agents for the wooden breadbox. The wooden box is spliced together and has a joint at every corner of the box, where the stainless steel box can be welded together at each corner or have an airtight seal.